This guide is designed to help trustees gain a better understanding of charity reserves and the importance of their reserves policy. Trustees are required to act in the best interests of the charity and their beneficiaries, in delivering their charitable activities. However, they also must safeguard the assets of the charity, keeping funds in reserve as necessary. Fulfilling these duties requires an understanding of reserves and the development of a reserves policy. The Charity Commission requires all charities to draw up, publish, implement and monitor their reserves policy, and this document is a practical guide to completing that process. Reserves are a charity’s ‘safety net’. They are set aside to cover any shortfalls in income, or to fund unforeseen expenditure. 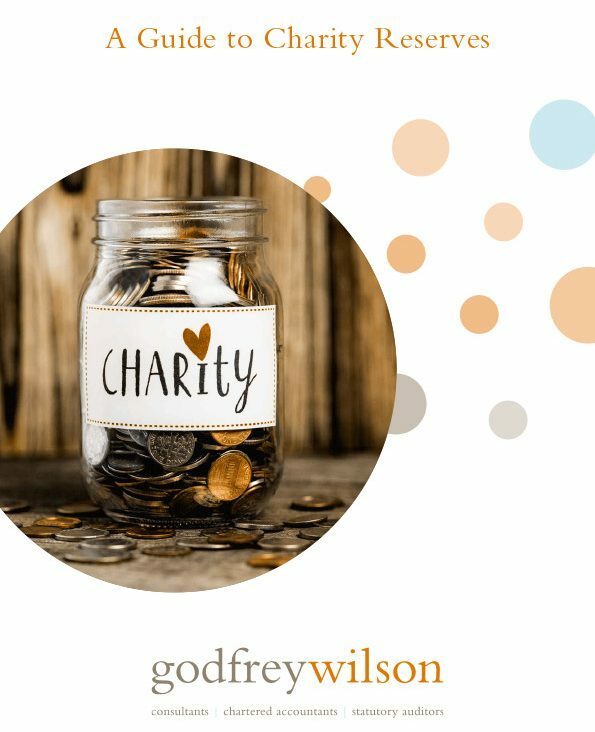 Reserves are those unrestricted funds of the charity that are readily available to spend on any charitable purpose. Restricted funds do not typically form part of a charity’s reserves as they are held for specific purposes. any other commitment not provided for as a liability. Why Develop a Reserves Policy? identify areas of financial risk, e.g. potential cashflow issues. Externally, the reserves policy demonstrates to funders, donors, lenders, beneficiaries and other stakeholders that the charity is sustainable, well managed and resilient to change. It helps to communicate why funding is needed or, conversely, explain why considerable unrestricted funds are held and how they will be spent. Holding higher levels of reserves than necessary suggests that the charity’s activities are limited, which reduces the potential impact they could have on their beneficiaries. Action should be taken to spend reserves. Holding lower levels of reserves may impact on the charity’s ability to operate in the event of an unexpected drop in income or unplanned expenditure. Action should be taken to replenish reserves. It is a requirement of the Charities SORP that all charities have a reserves policy, which is clearly explained in their annual report. If a charity decides to operate without a reserves policy this must be stated in the charity’s annual report. Each charity must consider its own financial circumstances, activities and complexity in developing its reserves policy. The policy is not static; it should be adjusted each year as the charity changes. Monitoring the charity’s performance against the policy is a key performance indicator for the trustees. any new projects, opportunities, or planned activities, and how will they be financed. The policy should quantify a target figure or a target range. If the trustees decide not to hold reserves, or to hold a particularly low level, the policy should explain how the charity will ensure sufficient care of its beneficiaries and an orderly closure in the event of insolvency. The key to a good reserves policy is striking the correct balance between maximising the delivery of charitable activities, without jeopardising the long-term sustainability of the charity. All charities have a duty to spend income within a reasonable time period. Holding reserves is an implied legal right where those reserves are held in the best interests of the charity. As such, trustees are required to explain their reserves policy in their annual report. As a minimum, all charities must state and explain the current level of reserves held, and what they plan to do to meet their target level of reserves. compare the current amount of reserves held with the charity’s reserves policy and explain, where relevant, the steps it is taking to bring the reserves held into line with the policy, in light of the charity’s future plans. When developing fundraising appeals, or bidding for grants, fundraisers should understand the level of reserves the charity holds and be able to justify this to funders and donors. It may be difficult to explain particularly high, or low, reserves to funders. If funds are too high, the donor may conclude that the charity has no need for additional funding. If funds are too low, the donor may conclude that the charity is financially insecure. A good reserves policy should help donors to understand the charity’s current position and their future plans. Using the above guidelines will help charities develop a reserves policy that is well thought out, appropriate to the organisation and clearly explained in the annual report.